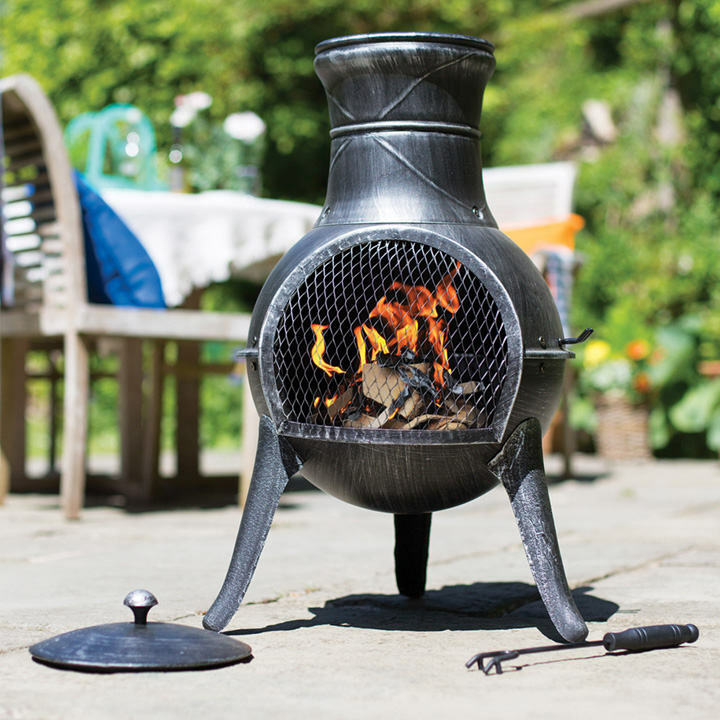 The Squat chimenea is the perfect addition to your smaller outside space. It may be small but it is certainly up to the job and is finished in an appealing pewter-style paint that is resistant to high temperatures. Rain lid is included. 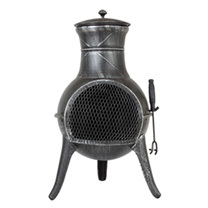 A compact steel chimenea is ideal to heat a smaller outdoor space. 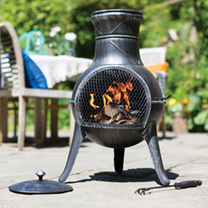 Perfect for adding heat to your garden, the Squat chimenea will keep you warm long into the night. Height 72cm; diameter 36.5cm.